Ok, really, we don’t tend to call it ordination of ministers. We call it recording ministers. Why? God ordains ministers. We don’t. All we can do is record the fact that God has done so. Usually when people hear “I’m a minister,” they assume the person is the pastor of a congregation, often with that as their day job (versus bivocational, meaning they do it on the side). Quaker Meetings, whether they have a pastor or not, may record gifts of ministry. 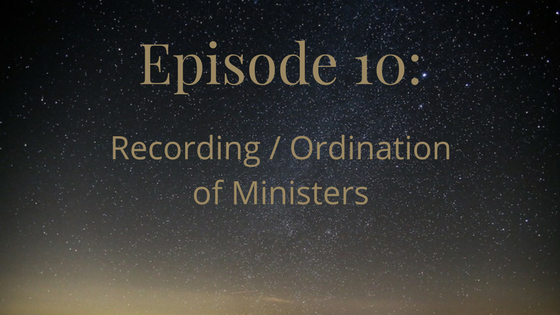 Why do recording/ordination of ministers? The credential also has social benefits. While Quakers are well-accustomed to women being ministers, many people in other denominations and religions aren’t. Women may be met with skepticism when they say they’re ministers, so having the actual recording can put them on a more level footing with men in other religious groups. And of course, because we want to recognize, support, and nurture spiritual gifts! Different groups use different names, and different denominations arrange them differently. High churches, like Catholics and Episcopalians/Anglicans, arrange them in a hierarchy. 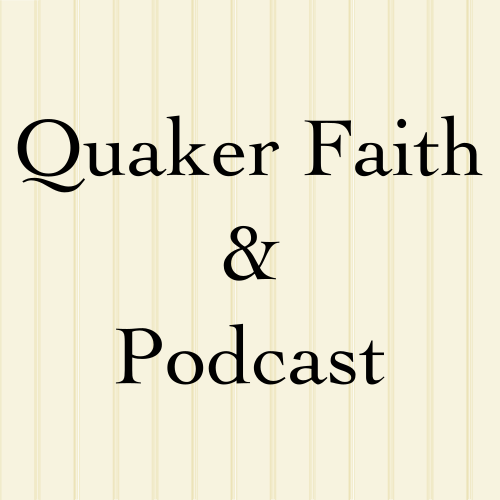 For Quakers, they’re co-related equals. We’d usually pick the “overseer” term rather than “bishop,” but Liberal Friends often use other names today. Mackenzie’s meeting has a Ministry & Worship Committee (the description of which corresponds to Elder in the Discipline of Ohio Yearly Meeting) and a Pastoral Care Committee (corresponding to Overseer in OYM). 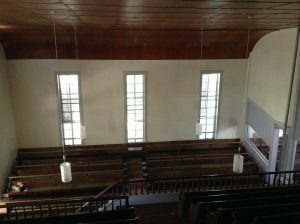 If you ever wondered why old meetinghouses have “facing benches,” often with an oddly scooped ceiling above them, that’s where the ministers traditionally sat (er…hi there Ohio Friends…I mean “still do sit”). That ceiling is a sounding board, and it made up for microphones not having been invented yet (not that many Meetings are using microphones nowadays anyway). Whoever sits under that sounding board can be heard from anywhere in the room, so you put the people most likely to speak (ie, ministers) there. It works ok (not as well) if someone not up there turns and faces directly into it to speak too. Know anyone whose ministry has been recorded? Or should be? So, this marks episode 10. We’re intending on getting back to themed runs of episodes, like a “season 2.” That’ll likely pull from the next section of the book.